Honorary guests included; Shareholder representatives from Adenia and Phatisa as well as international suppliers. The CEO of Kanu Equipment, Mr Stephen Smithyman, delivered a few inspirational words after the ‘Diamond Minds’ motivational video was screened. The ceremony commenced with the announcement of the highly anticipated Little Bird Award nominations. 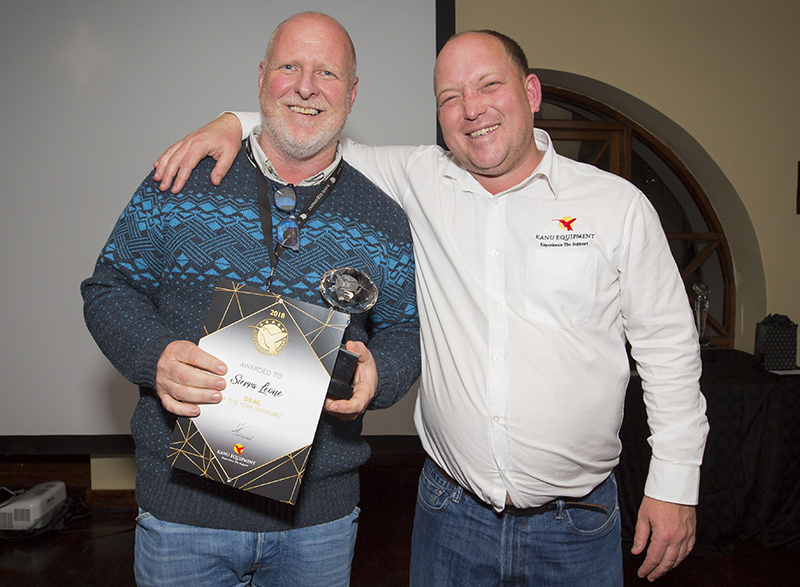 Said Stephen, ‘The Little Bird Award recognises staff members for their courage, dedication and determination as well as their representation of our brand’s values. With these values we are able to deliver on our promise of ‘Experience the Support’ offering service excellence and support to our customers and fellow colleagues. 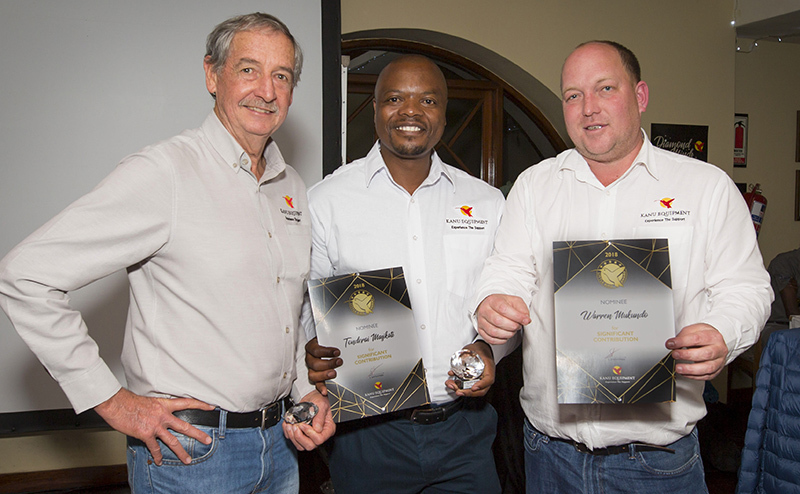 Kanu Equipment’s Managing Directors representing 13 countries were present to accept the diamond trophies on behalf of the nominees. 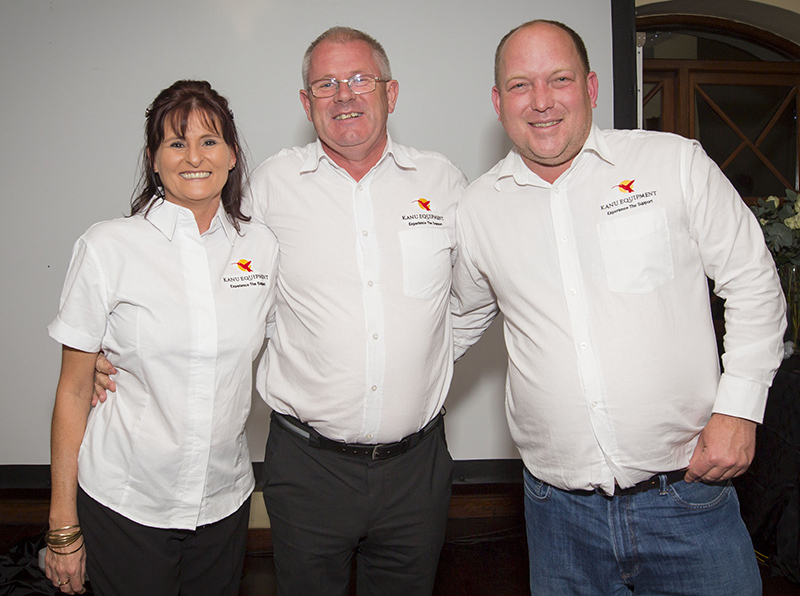 The Honorary Little Bird Award was given to Delyse van Breda this year and Special Awards were handed to Alan Dunsmuir and Colin Koch in appreciation of their Significant Contribution to the Group throughout the year. 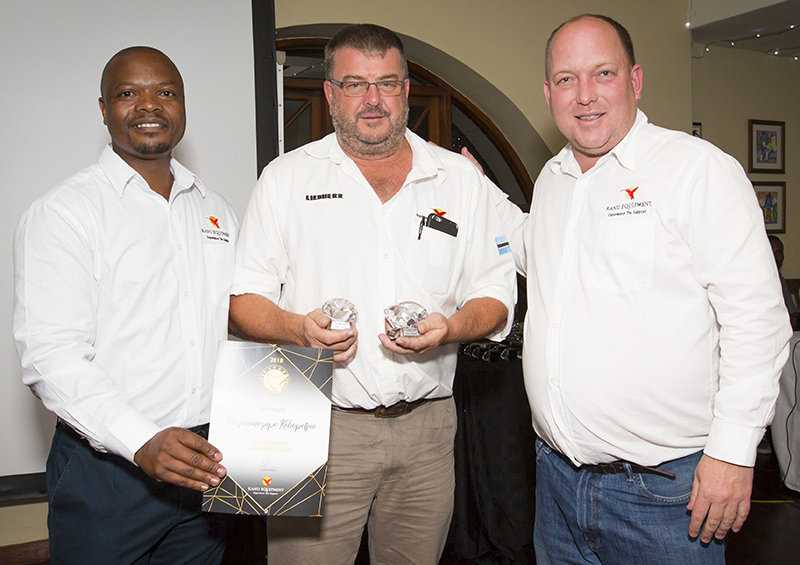 Additionally, international suppliers showed their support to the Kanu team by handing over further awards. Congratulations to all the nominees and winners, we look forward to seeing some new entrants in the upcoming year! 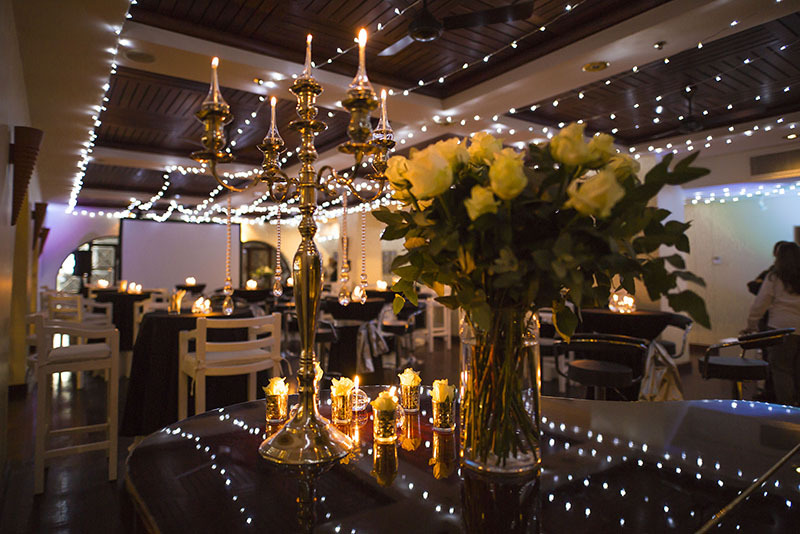 The decor is set for the ceremony. Stephen Smithyman, the CEO, opens the ceremony with a motivational speech. 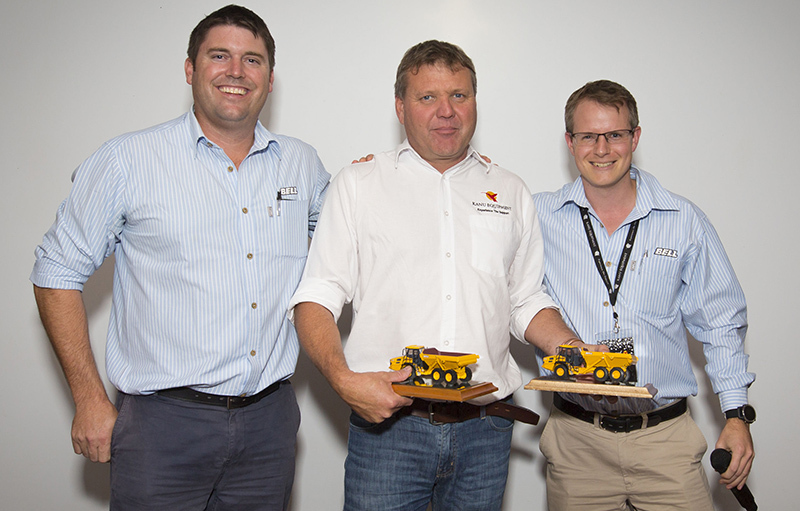 Bruce Paterson receives an award from Bell, on behalf of Kanu Equipment Botswana. 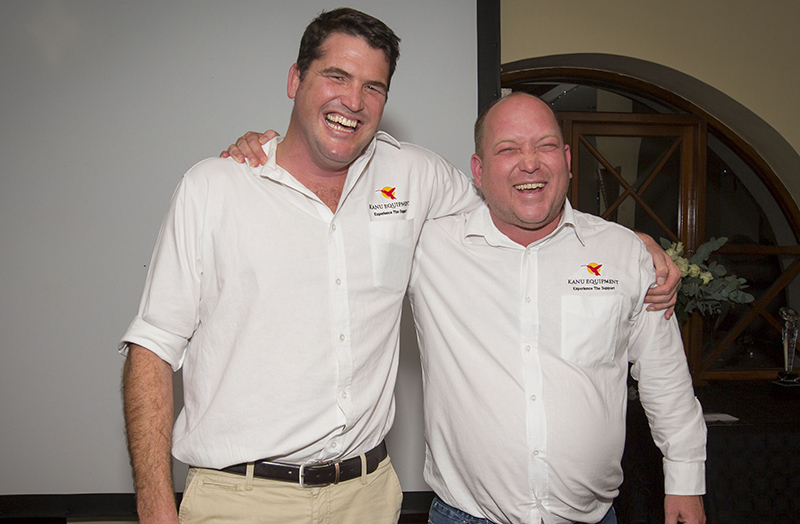 Kanu Equipment Ghana’s management team is all smiles, while posing with the CEO, Stephen Smithyman. 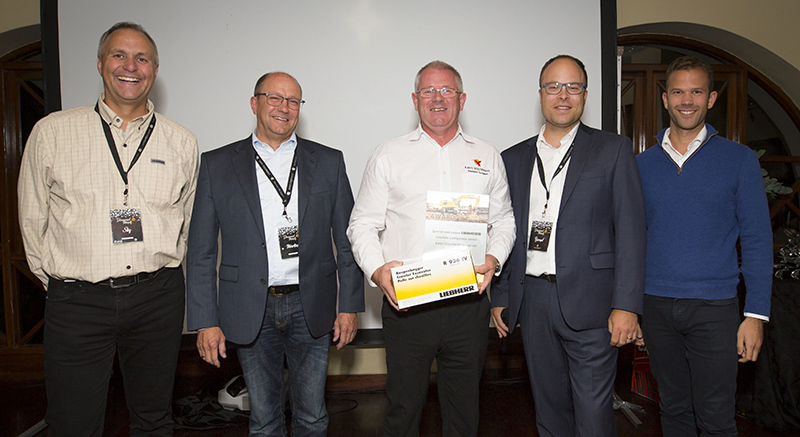 Gareth Priest, the MD of ESS Equipment Kenya, receives the 5. 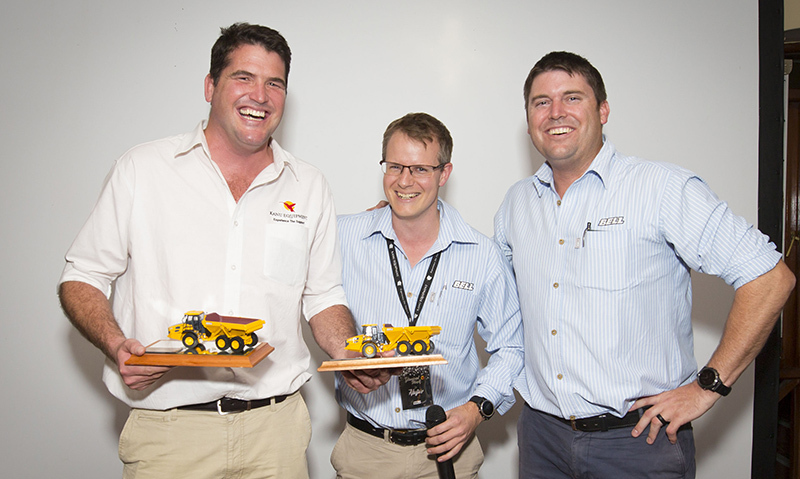 Emerging Market Equipment Sales Dealer of the Year Award. 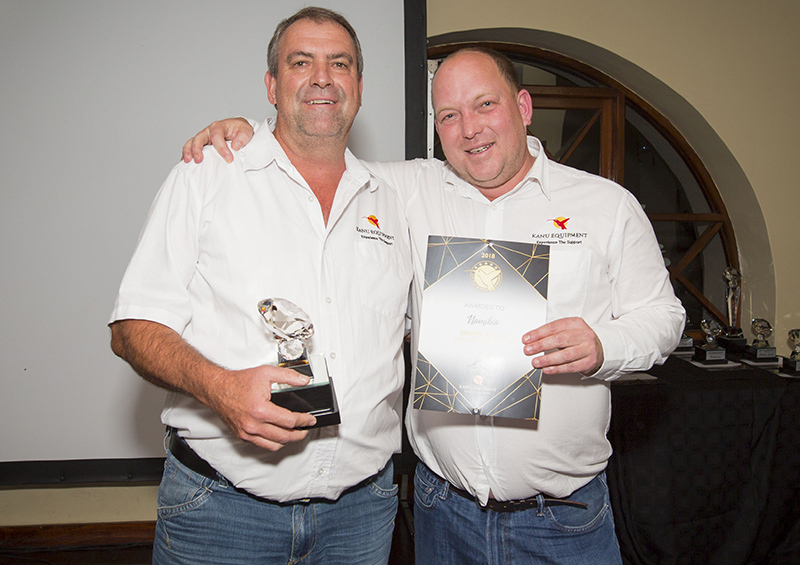 Christian Kocik, the MD of Kanu Equipment Sierra Leone proudly holding the Dealer of the Year Award. 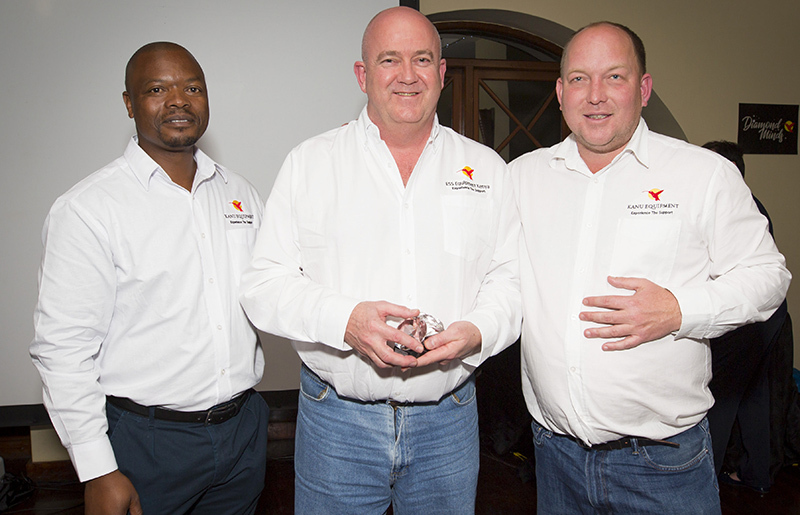 Bernd Muller, the MD of ESS Equipment Namibia, receives the 2. 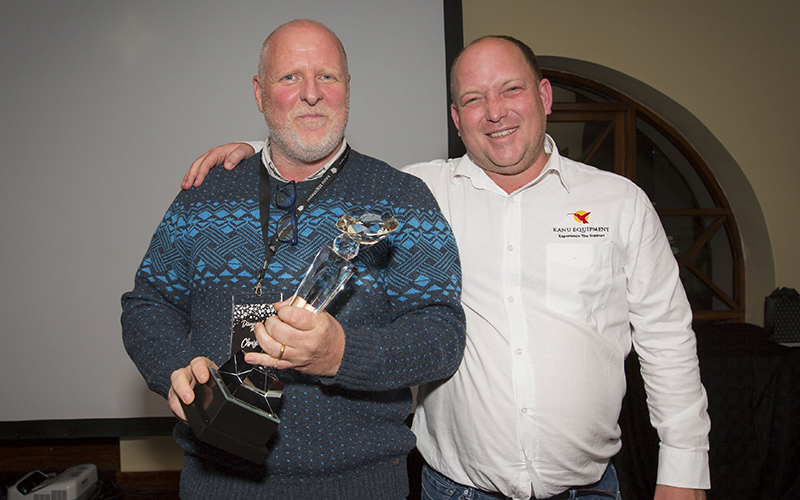 Emerging Market Spares Dealer of the Year Award from Mr Smithyman. 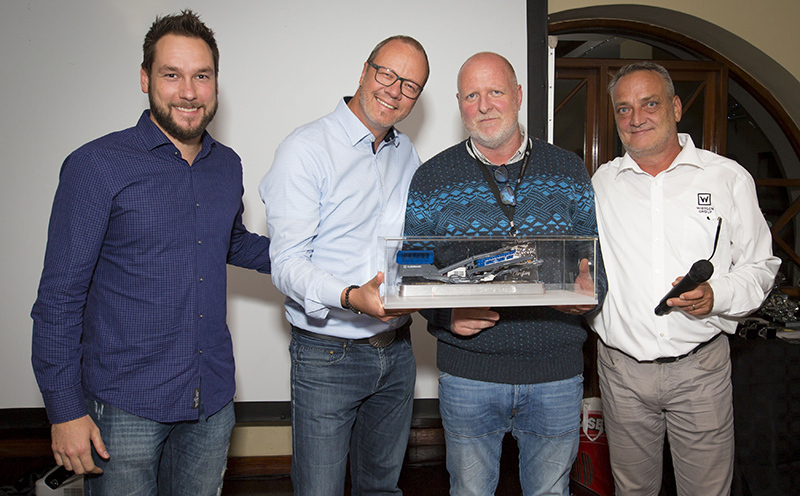 Russell Cleminshaw, Kanu Equipment Tanzania’s MD receives an Award from Bell Equipment. 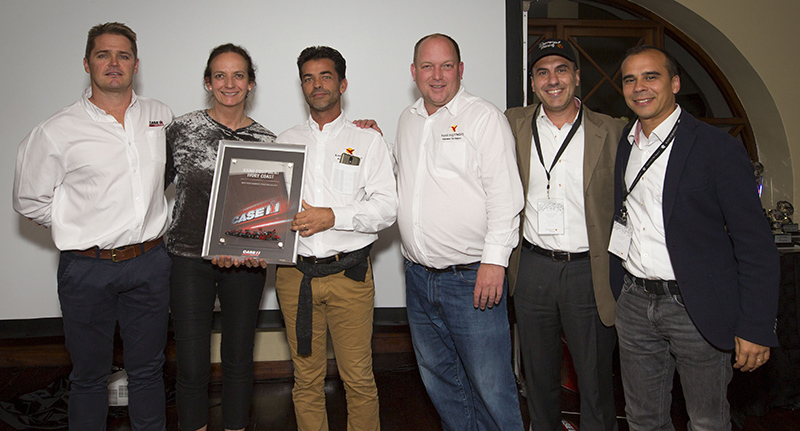 The Liebherr team handing an award to Kanu Equipment Liberia.